The Bayou has an app for that. There is no shortage of watering holes on State, ranging from downtown Salt Lake City all the way to Draper. For beer lovers, however, there is only one "beervana," and it's called The Bayou. It's hard to believe that I first wrote about it back in 2003, after the doors opened on the Louisiana-style gastropub. In some ways, it was an extension of founder Mark Alston's The Beer Nut, a home-brewing (and winemaking) supply shop that I frequented as early as 1994. It seemed natural that the growing community of Utah beer connoisseurs and home-brewers would support a place like this, which back then offered what I termed a "mind-boggling array of suds: some 120 bottled beers with dozens more on tap." Flash forward 13 years and, as of this writing, The Bayou offers 427 different beers—mostly in bottles, but a good selection on tap, as well. How do I know this? Well, I downloaded the restaurant's nifty app, which was designed by Alston and is pretty useful (if you're into beer, that is). Every single brew available there is listed on the app. Click on one, and a page will pop up, detailing its country of origin, size, alcohol level, bitterness and price. You can click on another tab which will transport you to RateBeer.com, providing an even more in-depth description. Another cool feature is a dice icon that randomly selects a beer for you. 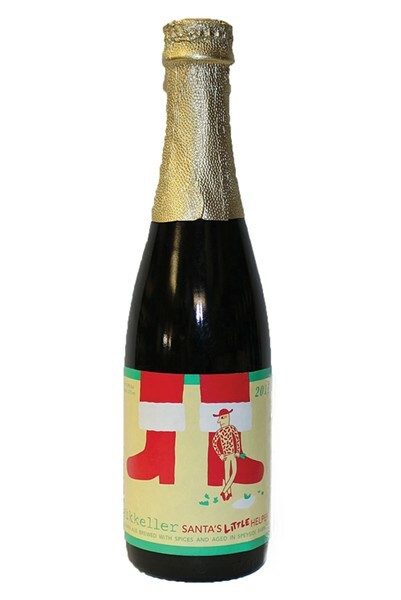 I did so, and came up with something called Santa's Helper, brewed by Denmark's Mikkeller. A 750-milliliter bottle of this Belgian strong dark ale (at 10.9 percent alcohol by volume) will set you back $23.50. RateBeer says it should be served in a Trappist, tulip or tumbler glass, and assigns it an overall 88-percent rating from voters. All of that info and more is available with a few clicks. If you don't own a smartphone, no worries. The barkeeps and servers are so fluent in the language of beer that you can feel confident putting yourself in their capable hands. Wondering which of 81 IPAs to try? Ask a server or pull out your phone. Not surprisingly, India pale ales represent the second-largest category of brews available here, surpassed only by local brands, of which there are 99 offered at present. By the way, the app is said to reflect the restaurant's real-time inventory. A friend of mine was complaining recently about the lack of ciders available in our state. She'll be pleasantly surprised to know that there are plenty to choose from here, ranging from the local Hive Winery's raspberry jalapeño cider to California's Ace pear cider. Eight gluten-free brews are currently offered, along with 10 different barley wines, 24 draft beers, 10 seasonal selections, 44 light lagers, 49 stouts and porters and one pumpkin. But that's just scratching the surface. To get seriously into the suds, you'll need to visit for yourself and take time to celebrate their tremendous selection—not to mention a vast array of delicious grub and live music to go with it. It's our State Street state-of-the-art beer emporium.